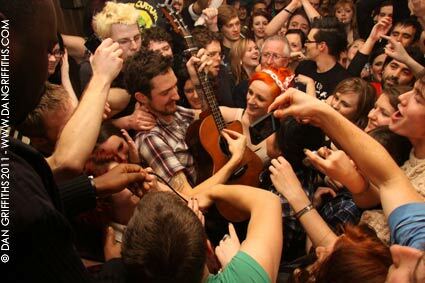 These photographs were taken at a secret show that Frank Turner’s played last Friday night at The Wheelbarrow in Camden. 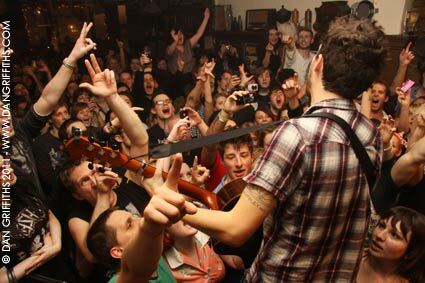 The Wheelbarrow (55 Camden High Street) is a brilliant new music venue and bar which took over Tommy Flynn’s pub. Frank announced the show only a few hours earlier on Twitter and the venue was competely rammed. You can view larger versions of the images above and below by clicking on them or watch a slideshow (including other shots from the night) by clicking here.